Guests: Chris Stone, Lt. Col. Peter Garretson (USAF); Topics: Space based solar power (SSP), D3 competition and more. Please direct all comments and questions regarding specific Space Show programs & guest(s) to the Space Show blog which is part of archived program on our website, www.thespaceshow.com. Comments and questions should be relevant to the specific Space Show program. Written Transcripts of Space Show programs are a violation of our copyright and are not permitted without prior written consent, even if for your own use. We do not permit the commercial use of Space Show programs or any part thereof, nor do we permit editing, YouTube clips, or clips placed on other private channels & websites. Space Show programs can be quoted, but the quote must be cited or referenced using the proper citation format. Contact The Space Show for further information. In addition, please remember that your Amazon purchases can help support The Space Show/OGLF. See www.onegiantleapfoundation.org/amazon.htm. We welcomed Chris Stone back to the program along with Lt. Col. Peter Garretson (USAF) to discuss the proposed space solar power project and the DC competition. Find out more at www.d3ssp.org. During the first segment of our two hour program, Col. Garretson explained the space solar power project to us along with the D3 competition which they won. D3 stands for Development, Defense, and Diplomacy as it was "a challenge issued across the Department of Defense, Department of State, and the US Agency for International Development for the best ideas to advance U.S. diplomacy, defense and development (the 3 D’s of foreign policy)." Peter not only explained the challenge in detail but the SSP project and the why of the SSP project. Our first segment was primarily a policy segment which also addressed the economic, policy, global, humanitarian, and climate benefits of space solar power plus its potential impact on the stability and push for peace for all nations and peoples. The vision is grand, the claims were and are grand, and the excitement should such a program be undertaken is and will likely be captivating. Listen carefully to what Pete had to say, the questions asked by our co-host Chris Stone, myself and the listeners. As you will hear, the technology and methodology is flexible, no plans and designs have yet been made as this is all unfunded with the primary step of getting it on a policy docket. Peter talked about how to go about doing that in both segments of our program. We also addressed international participation, both the Chinese and Japanese SSP plans which we might have to compete with, and of course working with the United Nations COPUOS. In the second segment, we fielded listener email questions including one by Sally about the possible weaponization of the SSP technologies and maybe even the satellites. Peter spent time going through this issue, how best to combat weaponization of microwave or other beams, SSP oversight plus other security strategies. Sally's question was followed by one from Rick asking if GEO was the preferred orbit and why. Our guest talked at length about the different SSP orbital proposals, then he gave the reasoning for using the GEO orbit. We took a question from Mohammed from Amman, Jordan that also inquired about SSP orbits, the use of a laser or microwave beam, as well as putting the satellites at a Lagrange Point. Our co-host Chris asked about the Air Force reception toward the SSP project plus the reaction of the Air University at Maxwell AFB where Peter teaches. Don't miss what our guest had to say about the Air Force and the Air University. In his reply, Col. Garretson talked about what might happen when SLS winds up its work at Marshall Space Flight Center and how it might be possible to task that team with developing SSP satellites. A few more listener emails questions were worth noting before the program ended. Luis from Venezuela asked about the sun-sync orbit. Erin asked about the repair and maintenance of in space infrastructure. On this point, our guest talked about the industries that SSP would help to jump start such as on orbit repairs and maintenance, depots, space tugs, and more. Finally, John in Fremont asked about SSP efficiency. On this subject Peter had much to say because the focus on efficiency was a misplaced focus as the focus should be on weight (mass). Don't miss what he had to say about this. In summary, Lt. Col. Garretson asked us what kind of future we wanted have, then he made the case for the type of future space solar power could provide everyone and all countries on Earth. 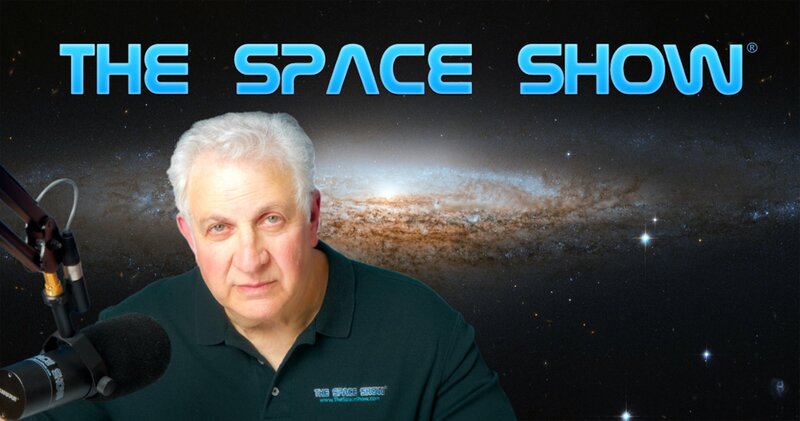 Please let us know what you think by posting your comments/questions in the comments section for this archived program on The Space Show website. You can reach Chris Stone or Lt. Col. Garretson through me.